For parents looking for an experiential and arts-based approach to learning that focuses on instilling an understanding and appreciation for each child’s unique background and helping them to find their place in the world, the Walford method might be for you. In the early years of Waldorf education, there’s no emphasis on explicit academic instruction, instead, little ones learn through creative activities and imaginative play. Preschool and kindergarten classrooms are set up in a way to represent a home-like environment, which makes incorporating Waldorf influences and activities into your actual house a lot easier than you may think. 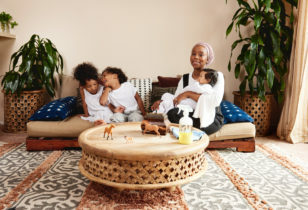 (Check out our profiles on Waldorf mamas Kelci Potter and Araks Yeramyan for inspiration.) Feel like making your own space a bit more Waldorf-ified? Check out some tips, techniques, and examples of how to bring the method into the home of your preschool-aged child, below. Create a routine: In the early years, Waldorf education emphasizes the importance of setting a consistent routine. Establishing a daily rhythm creates predictability, helps young children feel secure, and can strengthen their independence. During your little’s days at home, set a loose yet consistent schedule. For example, start the morning with imaginative play followed by an art activity. Then comes a snack and story time, finishing up with outdoor play. The schedule itself can be created to best suit the needs of your family. Creating a predictable rhythm that is followed consistently is what should be emphasized. Play is a child’s work: Some of the imaginative play that happens in many Waldorf classrooms is centered around real-life tasks, such as sweeping, dusting, and even folding laundry. Set up a small corner in your home, with child-size tools for completing such tasks. It will empower your child to be able to help out around the house, while they are developing both fine and gross motor skills. 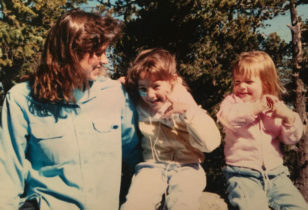 Spend time outside every day or bring the outdoors in: If possible, children should spend time outside every day, engaging in open-ended play in natural environments. In some regions, this is not always possible. For days when the weather is too extreme or if you don’t have a safe outside play area, bring the outdoors in. Over time, help your child collect twigs, rocks, pine cones, leaves, or anything else they may find of interest. Keep them in a special box or tray to play with inside. Say no to plastic: You will likely never find plastic toys in a Waldorf classroom. Toys are often made of wood (check out some of our favorites) and the quintessential Waldorf doll is handmade with natural fibers, such as cotton, wool, and silk. Toys should be simple. Waldorf dolls have little or no facial features or expressions, allowing your child to use his or her own imagination to create a unique story. 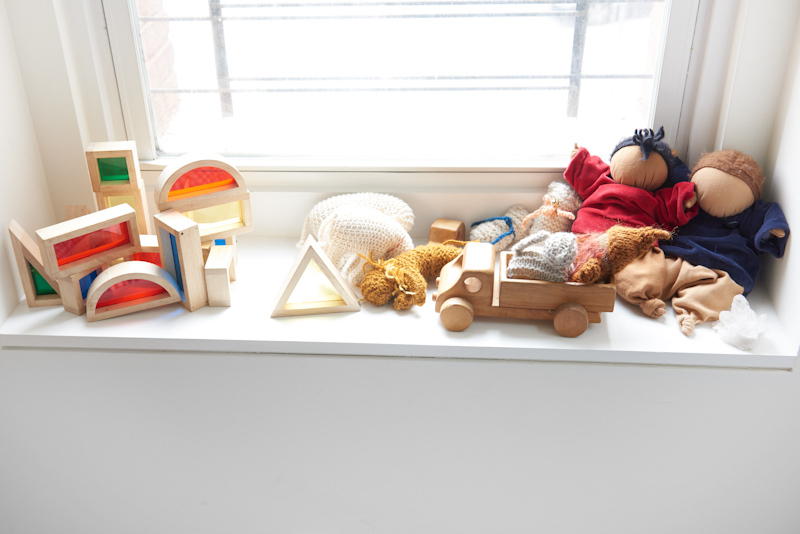 It’s thought that having toys made with natural materials nourishes a child’s sense of touch, plus they look more tasteful in your home than their plastic counterparts. Gnomes and fairies are among us: Stories and experiences with gnomes and fairies are quite common in the Waldorf tradition. One of the reasons they are so prevalent in the curriculum is the belief that they instill a sense of magic in young children. A gnome or fairy “garden” is a sweet way to incorporate these magical creatures into your home. 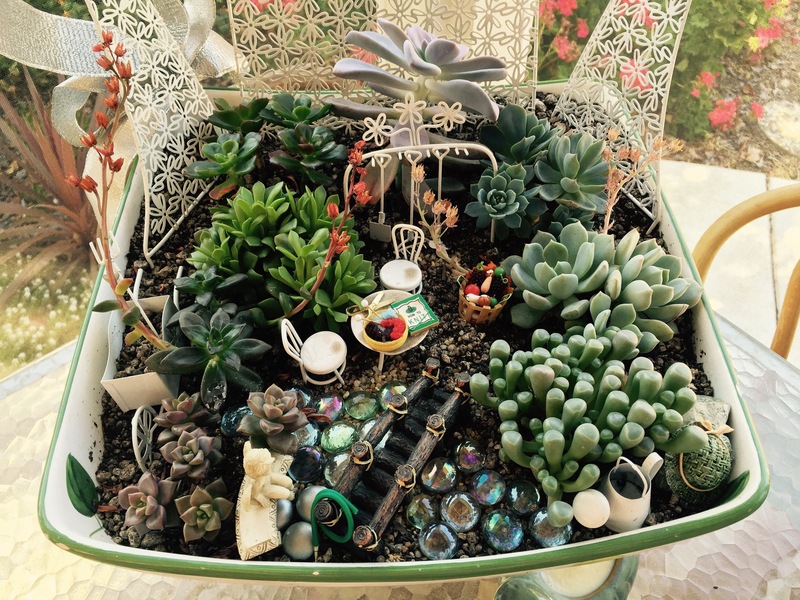 A small planter filled with dirt and a few plants (succulents are great because they are so sturdy) becomes the playground for the gnomes and fairies. Twigs, pebbles, and rocks can be used to create tiny structures, furniture, and pathways. A wooden birdhouse or dollhouse furniture would also be a nice touch. Have your child help with the design. You can create your own fairies or gnomes, or you can easily order some online.